This test may be affected by your operating system color profile. 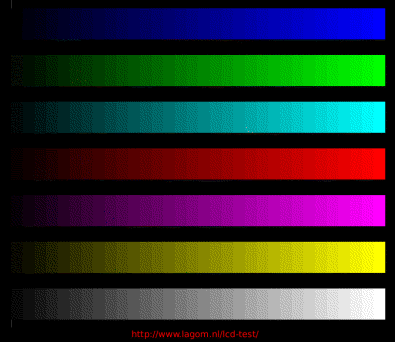 The following image shows scales of linearly increasing RGB values. 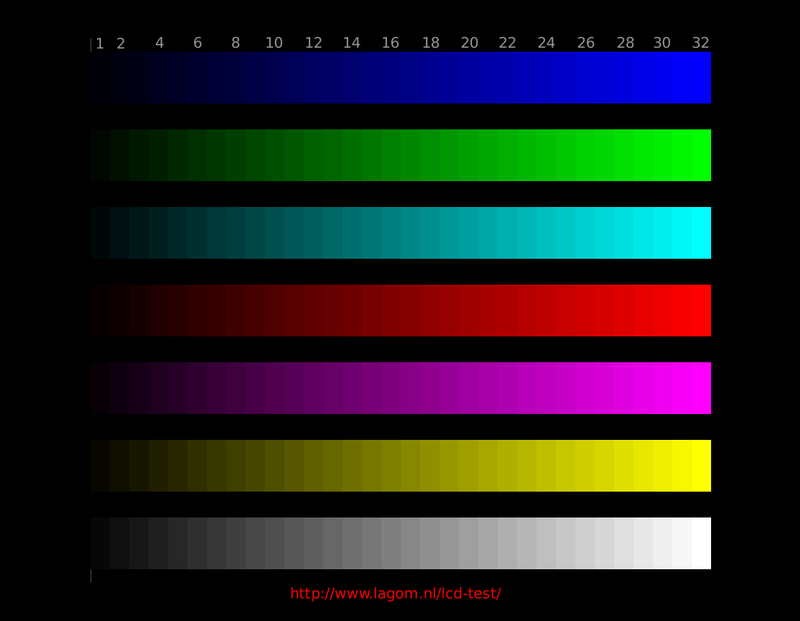 On a good monitor, you should see roughly equal steps in brightness over the full range from 1 to 32, and in all colors. Bar 1 should be visible. A bad monitor will not show the leftmost few rectangles, will not show a difference between the rightmost few, or shows a relatively large jump between numbers 31 and 32. 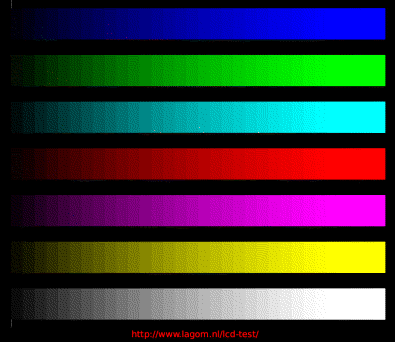 Adjust the contrast (and maybe brightness) setting of the monitor to improve the display of this image. If you want to change the color temperature settings, do it now, rather than after all the tests. Normally, you'll want a 6500 K color temperature: not too yellow and not too blue. Because video-card settings can also affect the brightness steps, it is best to use this to compare screens that are hooked up to the same computer. Reference image for the contrast test. Above is shown what the quick gamma test should look like: all bands are distinguishable, from the very darkest ones to the brightest ones. Contrast setting to high (top/left) or too low (bottom/right). 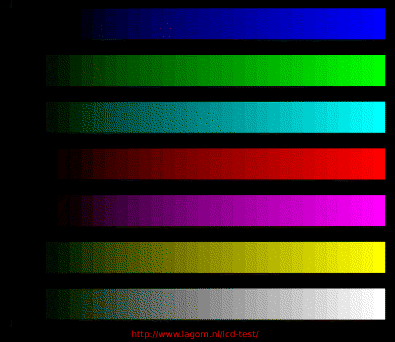 Some monitors saturate the bright colors: you can't see the difference between the rightmost few bands (left image). Increasing the contrast setting may help. With other monitors, the darkest few shades disappear. Again, changing the contrast setting might help.